Vergil represents Italy in highly rhetorical terms, in order to support the political line set by Augustus. The praise of ‘Italianness’, which fully conforms to the Augustan ideology and to its use in Vergil’s work, is strongly reasserted and even amplified by late antique commentators; their work can be dated between the end of the 4th and the beginning of the 5th century A.D., when the principles of the Augustan age became a point of reference and a key to reinterpret the present. The analysis of Servius’ exegesis to some telling passages shows how the commentator enriches Vergil’s narration with mythical and historical information that adds evocative power to the texts. In the excursus on the Huns, Claudian reworks the traditional ethnography of this barbarous people canonized by the famous description of Ammianus Marcellinus in Book 31 of his Res Gestae, from which the author of In Rufinum draws many elements of strong suggestion, that also emphasize the monstrosity of this ethnic group. In addition, the large size and the choice of a dictio markedly epic are a sign of the importance which Claudian gives to the Huns not only in the war stories told in this section of the invective, but also more generally in that difficult social and political period of the Late Empire. This article is about two episodes from the De origine actibusque Getarum by Jordanes: the first migration of the Goths from Scanzia, their native land, and their link with the mythical people of the Amazons. These two episodes emblematically help to better understand both the historical method and the finalities of Jordanes’ work, making clear how the classic mythical / historical patrimony was (re)used by him to originate new traditions, but so plausible that they become a literary model for the later authors, which has been followed, from an ideological point of view, in modern times. The so-called Hungarian Illuminated Chronicle was written and decorated around the year 1358 for the king of Hungary Louis the Great (1326-1382). The Chronicle, featuring the oldest visual representation of the history of Hungary, starts with the origin of the Hungarian people and breaks off at November 1330, when the Valachians defeated king Charles I of Hungary (1310-1342), father of Louis. The article focuses on the way in which the author of the chronicle deals with the myth of Trojan origins of the Hungarians. This Late Roman myth, very common in medieval Europe, was manipulated with the purpose to dignify and legitimate the king Louis and the Angevin royal dinasty. This paper aims at a closer analysis of the Greek identity of Salento expressed by Antonio de Ferraris, known as ‘il Galateo’ (1444-1517), in his Liber de situ Iapygiae. He considered this region, his native country, as a surviving corner (angulus) of ancient Magna Graecia. 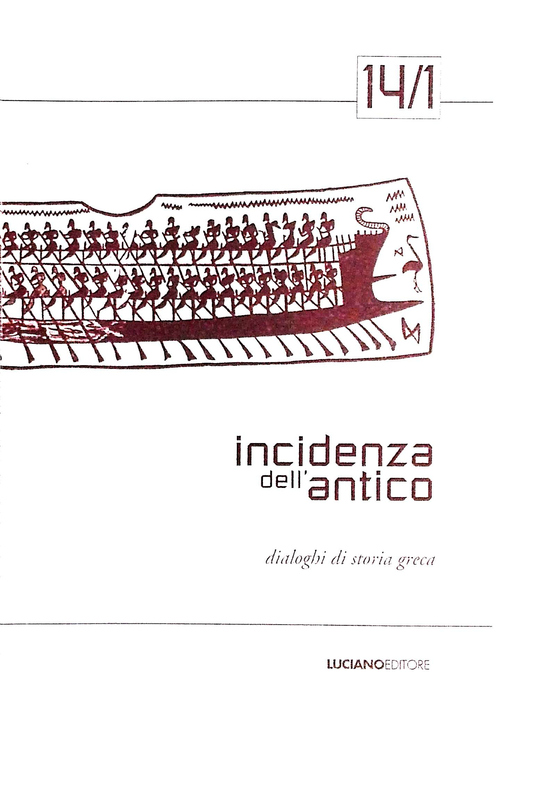 As for the ancient Greek history of Southern Apulia, he consequently emphasizes both the archaic ‘colonization’ and, after the Trojan War, the mythic arrival of the Cretans led by Idomeneus. On the other hand, he fails to take into account the tradition, that is actually in Herodotus’ work, according to which Iapyges were descended from Cretans, who moved West to revenge Minos’ murder. In addition, de Ferraris overestimates the effect of the Byzantine civilization on the Greek heritage of the Salento. The result of this interpretation is that his view was marginal and in contrast with the contemporary interpretation of the development of cultural identity of both Italy and Europe. This paper focuses on the philological work of Philippus Beroaldus the Younger, especially through the discussion of the libellus Beroaldus published in his editio princeps of Tacitus’ Annals 1-6 in 1515. The hitherto unpublished philological, exegetical and editorial notes of Beroaldus’ libellus represent a precious document both to adequately appreciate the humanist’s ingenium, and to redefine Beroaldus’ role in tacitean philology, as well as in the modern history of Tacitus’ text. This paper also shows how several textual solutions ascribed by modern and contemporary Tacitus’ editors to ‘giants’ like Rhenanus, Muretus and Lipsius, are actually already present in Beroaldus’ notes. Ancient history played an important role for the cultural identity of Capuan élites during the Renaissance. The new Capua, founded by the Lombards in the 9th century, exploited the material and immaterial heritage of the ancient Capua (nowadays Santa Maria Capua Vetere), which in late Middle Ages and Modern Ages was a rural settlement belonging to the Capuan district. The illumination of the founder Capys was used in a juridical manuscript of 1480, a ‘pocket book’ exhibited in the courts of the Kingdom of Naples in order to defend the town’s privileges. Historical and mythological information about the ancient Capua, although not deeply discussed, were quoted in a legal apology which supported the right of Capua to precede Aversa in public ceremonies (ante 1513). Decio Magio, the symbol of civic virtue and fidelity, was celebrated in the flamboyant entry of emperor Charles V (1536). The work titled Dell’Antico Ginnasio Napoletano, published posthumously in 1641 and reissued in 1688, was the first work dedicated to a specific ancient monument of Neapolis, written by Peter Lasena (1590-1637 ), a scholar and a Neapolitan scientist of French origin. He was a member of the ‘Accademia degli Oziosi’ and close to the circle of the Lyncean Academy. His work was studied and appreciated for its high level of scholarship in the seventeenth century and still in the eighteenth century, but it did not find due recognition of its historical, archaeological and antiquarian value among modern scholars. 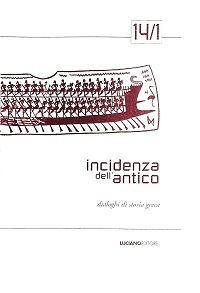 In fact, it is an important testimony to the renewed interest of the antiquarian studies in the ancient Sport and a fundamental document for the reconstruction of one of the main monuments of the Greek and Roman Naples. This essay aims at challenging Polybius’ reconstruction of the early phase of the First Punic War, namely when by means of a boarding-bridge (the so-called korax) the Romans gained their first great victories over the much more skilled Carthaginian navy. Since both the use of boarding weapons and the tactics of fighting a battle at sea just like a fight on land were current in ancient naval warfare well before the First Punic War, it seems to follow that Polybius overemphasized the importance of the korax as a turning point in the Roman tradition of naval skill. On the other hand, especially modern Italian scholars have taken over Polybius’ account about the korax and, consequently, they have idealized both Duilius’ victory in the battle of Mylae and the role of the boarding-bridge as the capital key to the sudden development of Rome into a naval power.